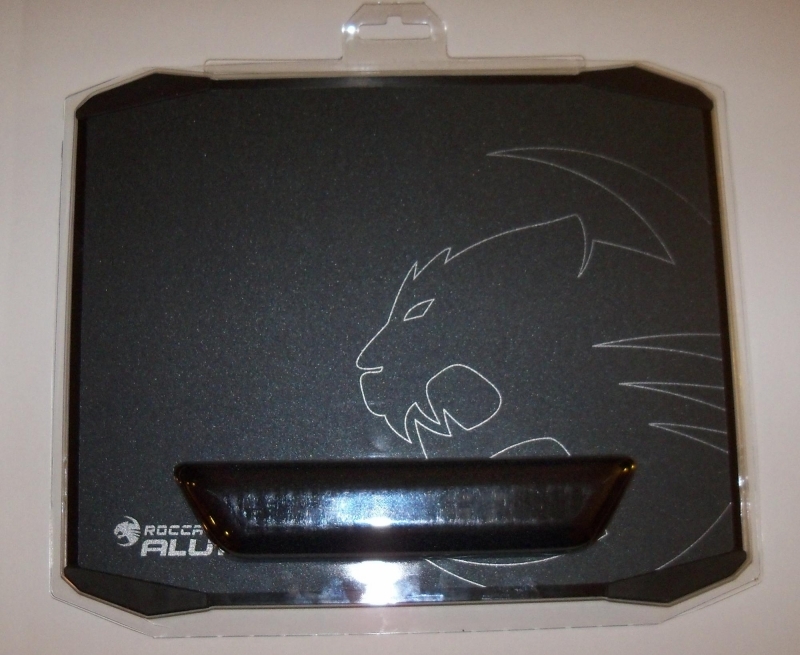 Since laser mice have become the standard it may not be essential for you to own a mouse pad for your mouse to function, but many gamers would argue that for your mouse to truly PERFORM it will need the specialized surface. 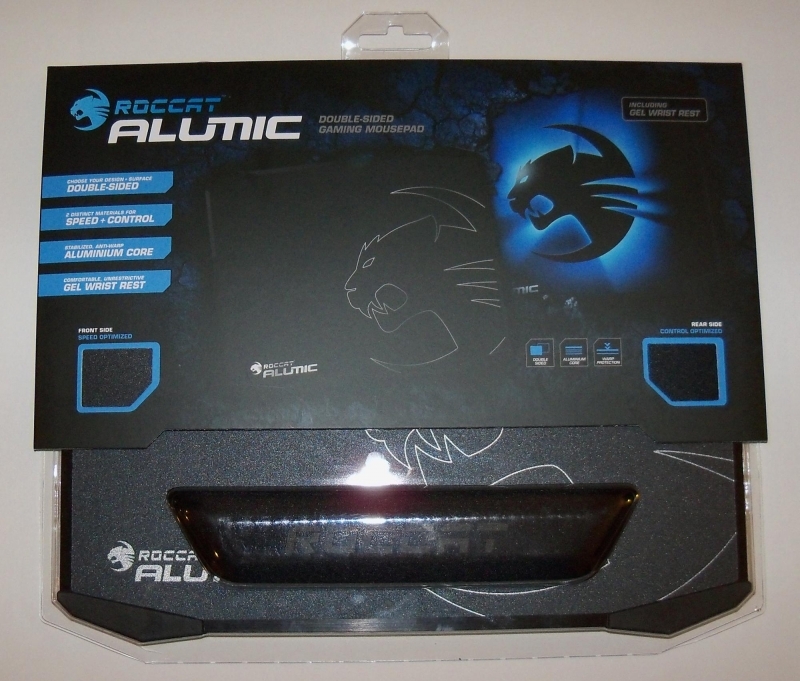 Today I am taking a look at the ALUMIC by ROCCAT. This is the first product from this European Gaming company and we are excited to see what they have to offer. Here is what they have to say about the the ALUMIC. 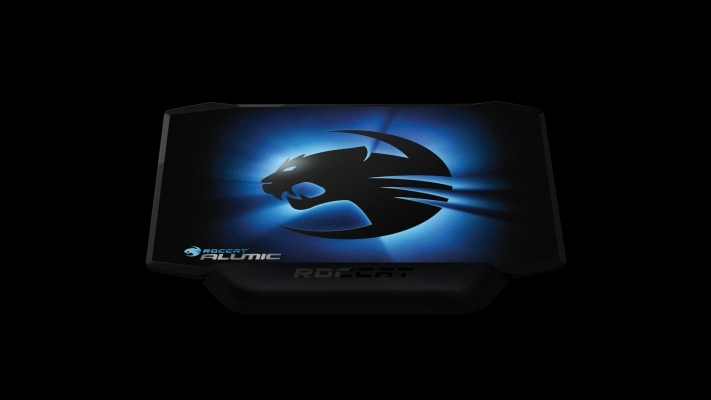 With two very different surface structures, the ROCCAT™ Alumic meets the highest demands of both low and high-sense gamers. Each side also features a different design. 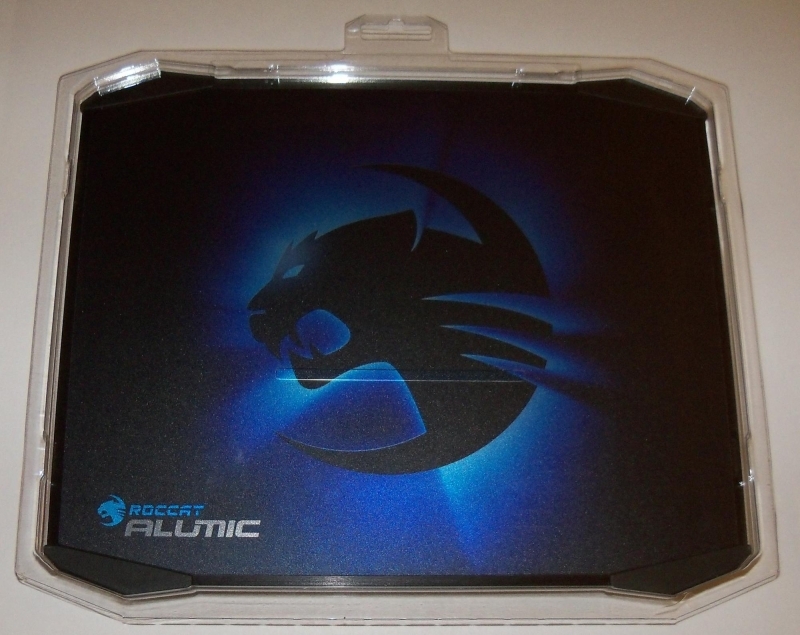 Made from high-quality aluminum, the ROCCAT™ Alumic offers maximum stability and durability. Extra-large mouse pad feet ensure the mouse pad stays rooted to the spot while offering the ultimate in mouse control when gaming. It also includes a gel-filled wrist rest for maximum comfort. This is certainly an impressive features list, but let’s see how this unit actually stacks up. The Packaging is pretty simplistic, I am please to report it took no “extravagant” measures to open this. The simple design and ease of access make this a fantastic display of business intelligence. 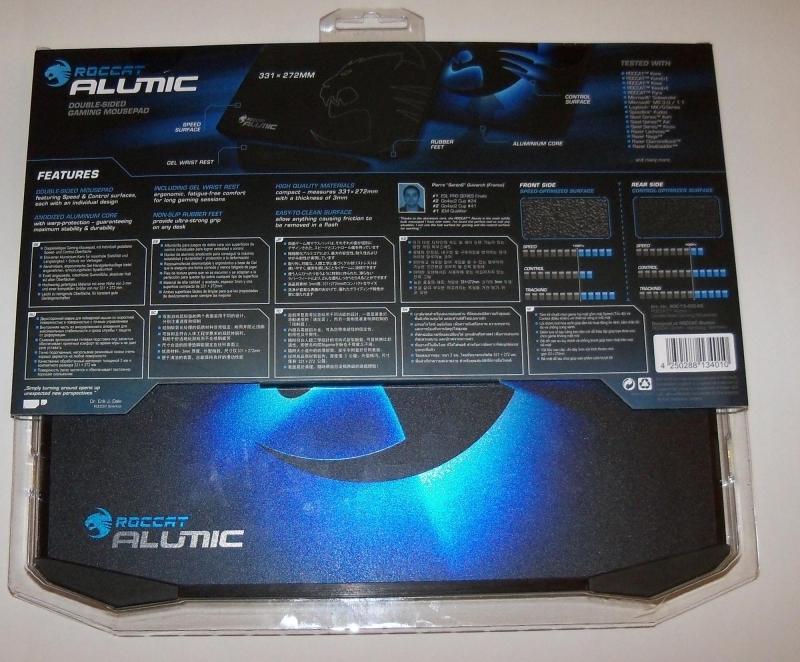 These mats look great for gaming, especially if your mouse is not a laser. My mouse (DXT Mouse) is a laser so it works on most surfaces!